Upgrading your ride to a small, economical, and fun car is an exciting time of weighing options and going on test drives. Here at FIAT of Tacoma, we believe it is important that our customers have all of the facts so everyone knows exactly what they are getting for their money. Take a look at the information below where we compare the 2016 FIAT 500 to the 2016 Honda Fit and see which one will provide you with the best return on your investment. Once you have the facts, come see us for a test drive like no other at FIAT of Tacoma. It only takes a quick glance to see that these two small cars are designed very differently. The refined and individual Italian design that brings us the 2016 FIAT 500 is certainly something to behold and destined to make an impression no matter where it is seen. The 2016 Honda Fit is also a well designed car but falls short of providing standard features like the heated mirrors found on every FIAT 500. Step inside and the design differences become even more clear. While the 2016 Honda Fit provides two additional doors and claims to seat five passengers, the 2016 FIAT 500 sticks with its renowned classic design of two doors with rear seat easy entry. 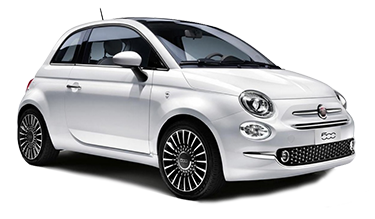 The 2016 FIAT 500 is the latest evolution of iconic Italian design that continues to earn respect and admiration. Come take a closer look at the amazing Italian design behind the FIAT 500 with us at FIAT of Tacoma, WA. Clearly, the design of the 2016 FIAT 500 outperforms every other small car, but what happens behind the wheel? Once again, the Italian engineering that brings us the FIAT 500 and so many other legendary brands provides a small car that is an absolute joy to drive. 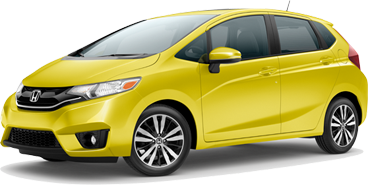 The 2016 Honda Fit does appear to have a slight power advantage on paper but it is also significantly heavier. Where the new Honda Fit is only available with rear drum brakes, every new 2016 FIAT 500 is equipped with 4-wheel disc brakes. This not only provides better safety, but allows for more spirited driving as well. You will also find that the 2016 FIAT 500 is far more nimble with a turning radius over two feet shorter than the new Honda Fit. The best way to take hold of the performance advantages offered by the new FIAT 500 is to get behind the wheel, so schedule your test drive today at FIAT of Tacoma serving Kirkland, WA. When choosing your next stylish small car, safety is certainly a top priority. Both the 2016 FIAT 500 and the 2016 Honda Fit are recognized as safe cars with the modern safety amenities we expect like traction control and airbags. However, a little research will show that where the 2016 FIAT 500 is free of safety recalls, the 2016 Honda Fit has an issue with the side impact airbags. This is evidence that the new FIAT 500 was put together properly the first time so all you need to worry about is having fun and showing off. The standard 4-wheel disc brakes are another example of the superior safety found in a new FIAT 500. Inside, you will find even more features that add to both your safety and convenience in the FIAT 500. Features like voice activated audio control allows you to dial in your tunes without ever looking away from the road. These are just a few examples of the exceptional safety and features you will enjoy in a FIAT 500 so come see us to learn more at FIAT of Tacoma. The market today is full of options for your next vehicle and we want you to have the information you need to make the best choice. This is why we have developed comparison pages like this one along with detailed model pages so you can see all of the benefits that come with a new FIAT. We always keep a wide selection of all the latest FIAT models for you to choose from. Our knowledgeable sales consultants always make you and your best interests the top priority. Not only do we offer great deals on new FIAT purchases and leases, our team is also top-notch when it comes to financing so get approved today! We invite you to come experience the difference at FIAT of Tacoma where we are conveniently located at 3740 S Tacoma Way, Tacoma, WA 98409. Give us a call at (253) 830-5700 and let us know when you’ll be here. We’ll have everything ready for your test drive and we look forward to meeting you at FIAT of Tacoma.